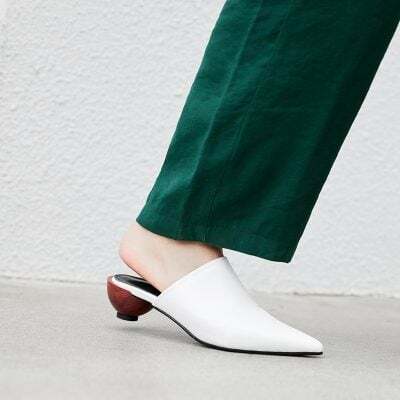 Clogs-mules shoes are easy to wear and available in many varieties from loafers to sneakers. The close toe box set your foot comfortably on flat soles, stiletto, block heels or wedges. The backless upper made them easy to slide on and off. Clogs are mostly paired with casual looks and deliver a comfortable lay back mood with the thick sole or block heels. Mules are much more versatile. They can be dressed for office look, a night out or a relaxed weekend afternoon with your best friends. Check out the clogs and mules collection at Chiko Shoes inspired by the hottest runway look or sleek street styles.